These are closed groups, so feel free to add other owners you are friends with on FB for admin approval. Being an owner isn't necissaily a requirement, but these groups are for us to help coordinate meets and keep in touch with each other better. 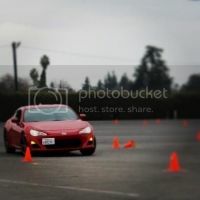 The 86Drive groups are more geared to the general public. Last edited by finch1750; 09-19-2018 at 12:35 PM. Used to owned M3 and Lotus, but love my GT86 the most. I know that there are a ton of groups on FB already (inlcuding a bay area group I just found stated by Devin from @Speed Element Lol) but these are mostly for promoting our events and meets. Members have been asking for FB event reminders if they don't frequent the forums but like to hang out with the group. Also, thanks to @sdlynx the CenCal group page is now live! yeah it's all duplicative and redundant, but we've found different people are active or prefer different social media forms... we broadcast our events and meets on here, FB, IG ... sometimes we get people to come out who otherwise wouldn't know or don't follow elsewhere. This works, since I spend more time on FB than this forum heh. I sent my request! Kevin here - Just sent a request to the Bay Area group.